Hybrid Modernism. Churches in Kerala. 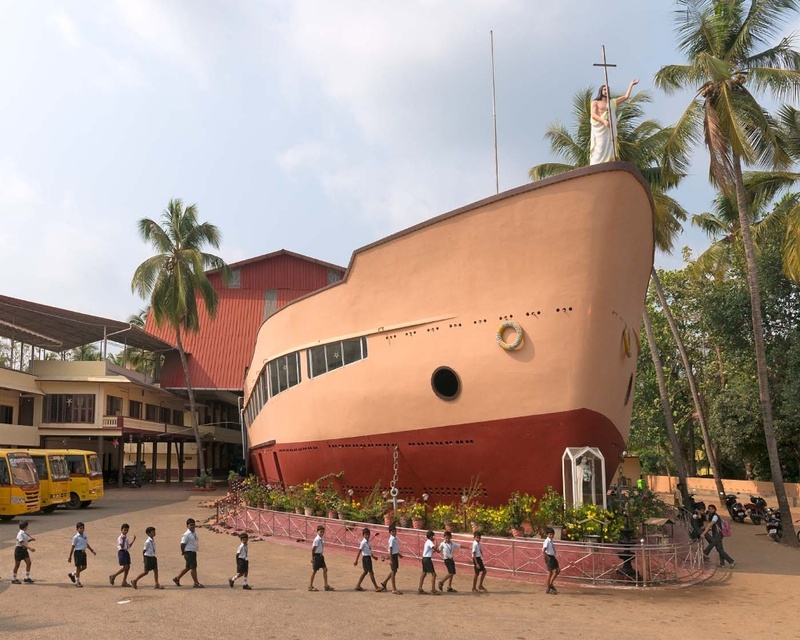 Following independence in 1947, the Indian church sought to differentiate itself from the historicizing building style of the colonialists, and adopted modern architectural styles. The reception of modernistic architecture in India was largely inspired by Le Corbusier, who has designed Chandigarh, the new capital of Punjab. 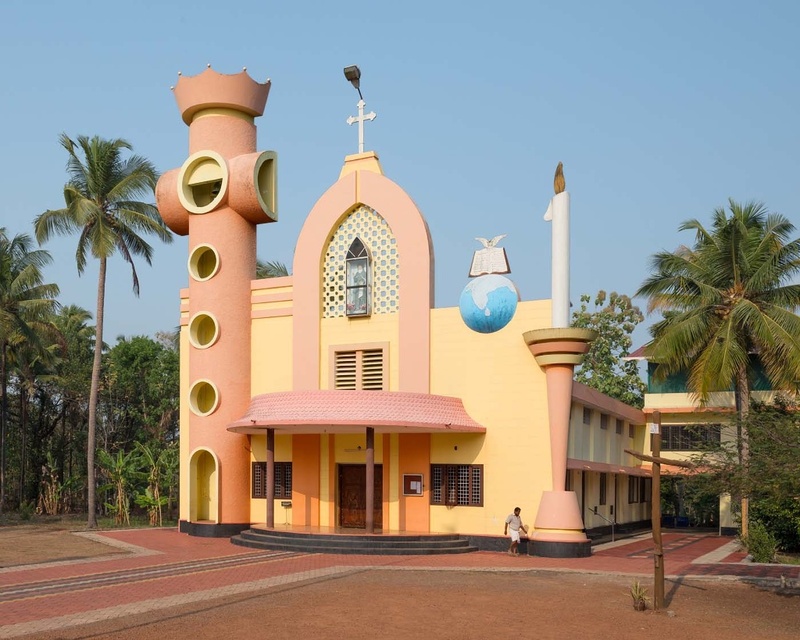 Some modernist influence can be observed in southern Indian churches, but it is punctuated by local architectural elements. The buildings often display an effusively sculptural formal language and a use of intense colours. In some churches, Christian symbols are directly transposed into a three-dimensional, monumental construction design. We are interested in highlighting the variety of western influences and their culturally influenced reinterpretation by means of a typological overview of these buildings. The pictures are on her website, here. But below are a couple of examples.